Congratulations, you passed your exam! 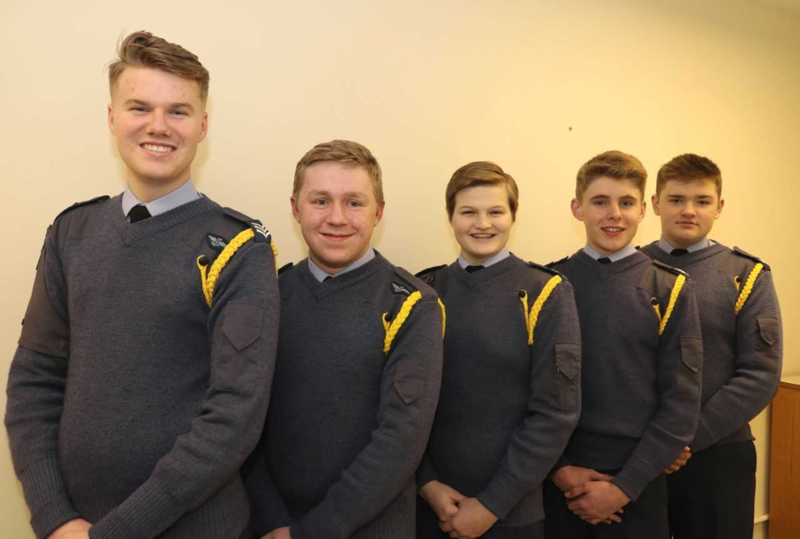 There were celebrations all-round for the latest graduates from the squadron’s most recent Method of Instruction Course. Having received their yellow lanyards, the real work begins! For Cadet Sergeants Matthew Mayers and Connor Wright, Cadet Corporals Kimberley Williamson and Branden Jackson and Master Cadet Jamie Cross the major hurdle of delivering a lesson under examination conditions had been successfully negotiated, the next stage would be to put this new found skill to use. Having identified which particular area of cadet training interested them they have begun the all too necessary preparation work before being let loose on their classes. Cadet Sergeant Mayers said, “I now understand the need for all the preparatory work before I start teaching a particular topic. The research, the discussion with the Training Officer and my colleagues as to the best way to involve the class in their learning has been a glimpse into a different world; it has certainly made me appreciate what my teachers go through”. We wish them every success as they embark on this important phase in their development.